RUSH: CNN and the rest of the Drive-Bys are saying that Trump is likely to reinstate sanctions against Iran and begin exiting the Iran deal. His announcement is supposedly in less than an hour, 2 o’clock Eastern Time. There was a news story earlier today that Trump had called the French president, Macron, and told him that we are pulling out — and Macron has just told the media that that’s not true, that Trump didn’t tell him that. So that has been refuted. By the way, we know that John Kerry — by the way, who served in Vietnam — has been talking to the Iranians, his former counterpart when Kerry was secretary of state, and trying to undermine Trump’s decision here to pull out of the Iranian deal. Now, one of the reasons why… Forget the substance of this deal for just a moment. This is the Obama legacy, and if there’s one thing that has been constant about Trump since his inauguration it has been the appearance of his desire to dismantle much of the Obama agenda. And getting us out of the Iranian nuke deal is a huge aspect, a huge part of that. So was the attempt at replacing and canceling Obamacare. There have been a number of other measures. Much of the executive actions and executive orders that Obama took and issued have been reversed, and these Obama acolytes know full well what is going on here. So Kerry is talking to the Iranians, trying to save the Obama deal (not “the Iran deal”), plus his part in it as secretary of state. This is about preserving the Obama legacy. His comments were reported by a newspaper in Israel, Maariv. Apparently, what Kerry has been doing is telling the Palestinian Authority to be patient, to not worry about what Trump is doing, don’t try to stop it. We’ll take care of that once we have gotten rid of Trump, either via impeachment or in 2020. It’s the identical tack Senator Kennedy took with the Soviet Union and Yuri Andropov (who was the premier of the Soviet Union at the time) when Ronald Reagan was president. Senator Kennedy sent him a letter saying, “Please, don’t worry about Reagan. We’ve got it under control here. We’ll be able to handle it. He doesn’t speak for us. We remain your allies,” and so forth and so on. It was outrageous, and here’s Kerry doing same thing the same thing. And in this case I graduated in service of the Obama agenda. RUSH: I’m gonna be bold, and I’m gonna predict to you that President Trump will indeed pull out of the Iran deal. The Drive-By Media will have conniptions and be in full-blown panic. And the focus will be on Trump isolated on the world stage. RUSH: Here’s Charles in Philadelphia as we go back to the phones. Great to have you, Charles. I’m glad you waited. What’s up? CALLER: How you doing Rush? CALLER: Rush, I just want to tell you some stuff. 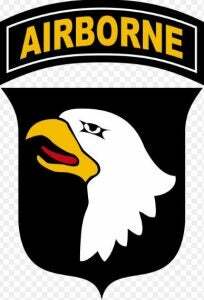 Number one, I was in Vietnam from ’69 to ’70, Delta Company, 3rd 187th Infantry, 101st Airborne. John Kerry, in my estimation, has American GI blood on his hands, as he organized demonstrations against me and other grunts who were fighting that war. I’ve seen nothing but honorable, heroic men fight that war. Did not see no baby killing. Nobody even thought about that. For that man to get in front of Congress and make comments like that and not even seeing it? So, therefore, this is nothing new with John Kerry. John Kerry has for years thought he is way above the blue-collar Americans, okay? I firmly believe him and others prolonged that war. RUSH: You’re talking about the Vietnam War? CALLER: Yes, I am, sir. Yes, I am. And him going overseas and behind Trump’s back, you know, it’s the same thing he did all during the seventies. He was an elected official and still was going against the government all the time, Rush. I mean, who does not see this? The guy has nothing but a phony life, really. I mean, I came home to his protests in Philadelphia here! RUSH: Yeah. Well, he didn’t throw his real medals away over the White House fence. Those were fake medals. He made a big show out of throwing away his medals. He didn’t feel like they were worth anything. They had been awarded him by a nation that was immoral and in great violation of human rights in conducting the Vietnam War, so he made a big show of throwing his medals over the fence. They were fake. He kept ’em and so forth. Look, it’s what the Democrats do. Kerry… I’ve gone through the list. There’s the Nicaragua Contras. The Boland Amendment. There is Senator Kennedy undermining Reagan when he was president. Clinton and Gore trying to undermine George W. Bush during the Iraq war, making speeches overseas and now this with John Kerry trying to… I don’t know what he thought he was accomplishing by negotiating with the Iranians. What we’re told is that Kerry urged his Iranian counterpart to just be patient, that Trump is temporary, and whatever Trump does, we’ll be able to fix it. Kerry even alluded to the fact that he might run for president again in 2020. But it was the same message that Senator Kennedy had for Yuri Andropov. (summarized) “Look, we know this guy’s kind of an outlier, he’s a renegade, he’s not too bright. But we got your back, and you can count on us to make this all right once we get rid of this guy. Don’t panic.” It’s this arrogance and this conceit that liberal Democrats express — and, in the process, undermine the sitting president at the time. And they have a history of doing this. Kerry’s it is not alone. His Vietnam War aftermath is also well documented as well. But remember, you know, Kerry retook Boston Harbor at the Democrat convention where he was nominated. He reassembled his swift boat guys, and they actually retook Boston Harbor so that Kerry could arrive at the convention, simulating great military heroics. CNSNews: Did John Kerry Advise Palestinian Leader Abbas To Wait Out Trump?